The INFORM project is laureate of the national call ”Laboratoire d’Excellence” (Labex) of the French state in the context of the ”Investments for the Future” program and funded for a duration of eight years. 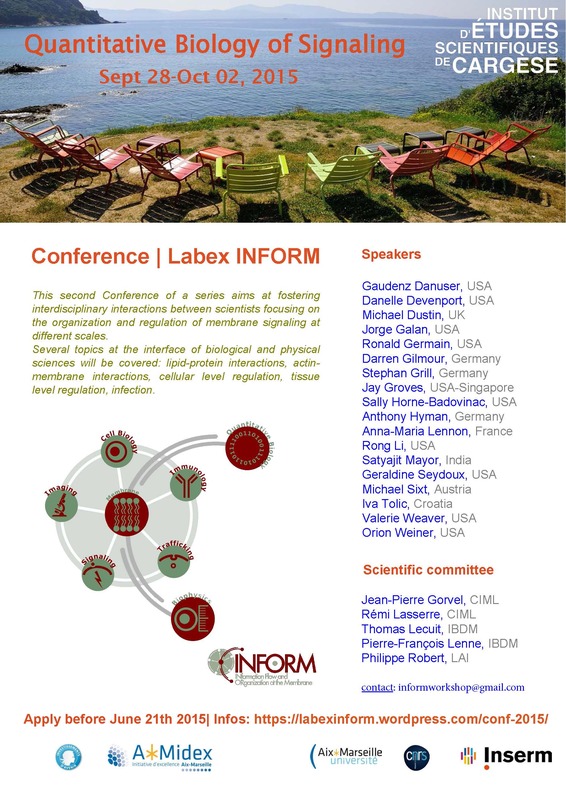 The INFORM program (INformation Flow and ORganization at the Membrane) sets up an interdisciplinary consortium in the Luminy campus of Aix Marseille University, gathering 12 laboratories in Biology, Mathematics and Physics. The objective is to quantitatively understand the biochemical and mechanical basis of cell signaling, both in normal and disease conditions. 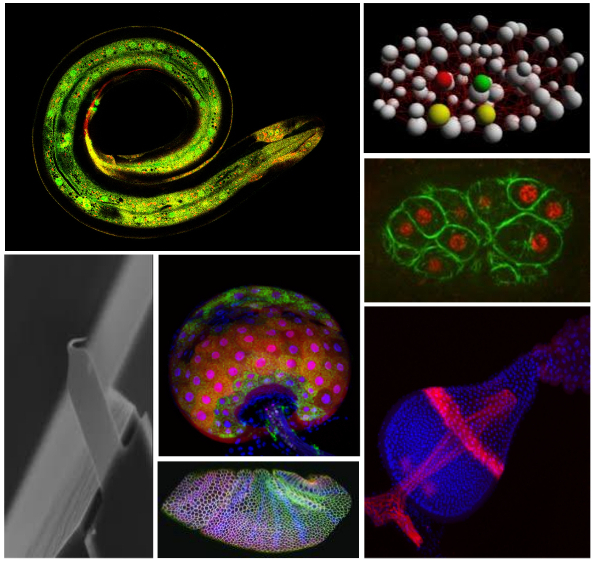 The project will allow scientific progress in understanding the dynamics of signaling focusing on a quantitative analysis of biological mechanisms. International networking through workshops and seminars.